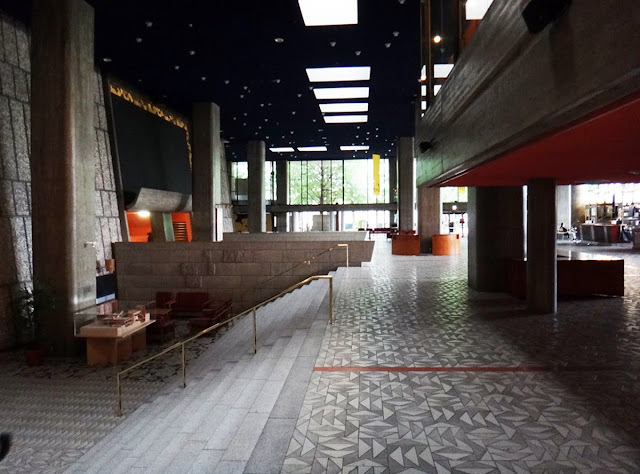 Front of Tokyo Bunka Kaikan: notice the blue and red doors similar to Le Corbusier's Unité d'Habitation in Marseille image credit nova68.com. Tokyo Bunka Kaikan building by Kunio Mayekawa 1961 image credit nova68.com. Detail of concrete panels on the right of front entrance image credit nova68.com. 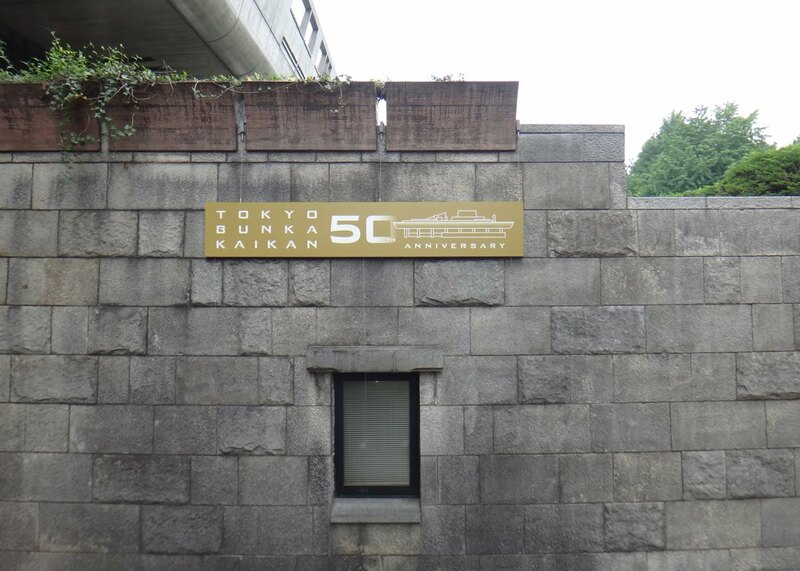 Tokyo Bunka Kaikan celebrates it is 50th anniversary without much attention (without the small sign, nobody would know) image credit nova68.com. Stunning architectural detailed walls both inside and outside. 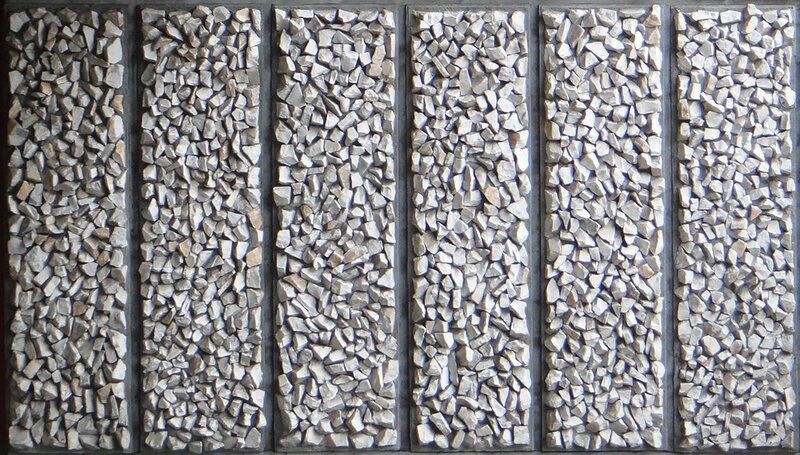 Decorative rocks were placed one by one, beautiful composition. Beautiful modernist waterway and sculpture image credit nova68.com. Closer detail of sculpture image credit nova68.com. Closer detail of sculpture (front view) image credit fotopedia. Main entrance hall (notice wall and floor design + Sarfatti chandeliers in the back) image credit nova68.com. 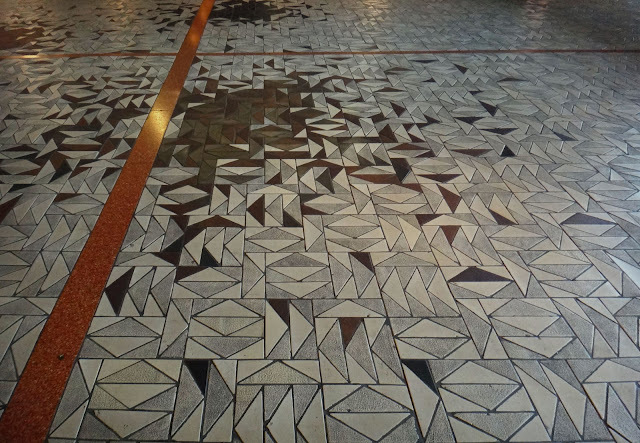 Detail of the modern floor tile pattern (runs throughout the building). 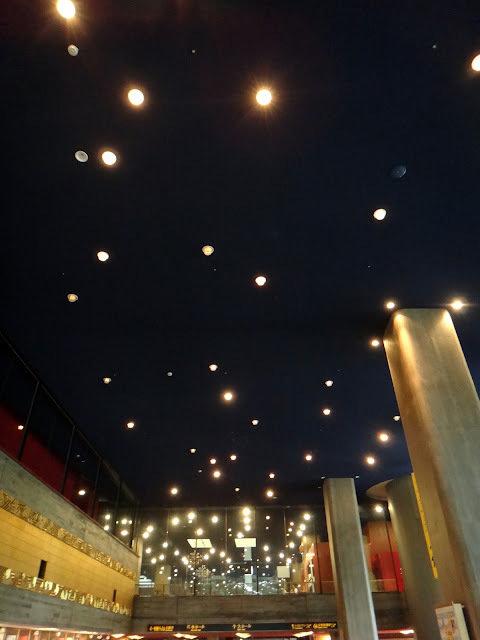 Lights seem to have been placed at random to give the impression of a star-filled night's sky image credit nova68.com. Ground floor at rear of building image credit nova68.com. People give a sense of the massive scale and space of this building image credit nova68.com. 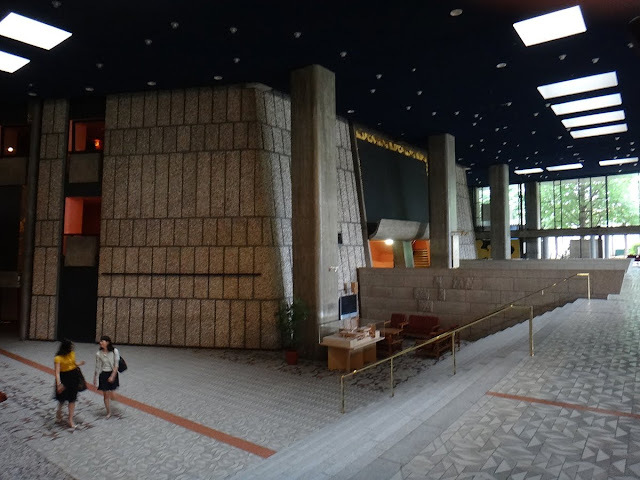 This article is about Kunio Mayekawa (1905-86) and his spectacular but rather unknown modernist landmark, the Tokyo Bunka Kaikan (translates to Tokyo Cultural Center) building which currently houses the Tokyo Metropolitan Symphony Orchestra). Constructed in 1961, this year marks the 50th anniversary. 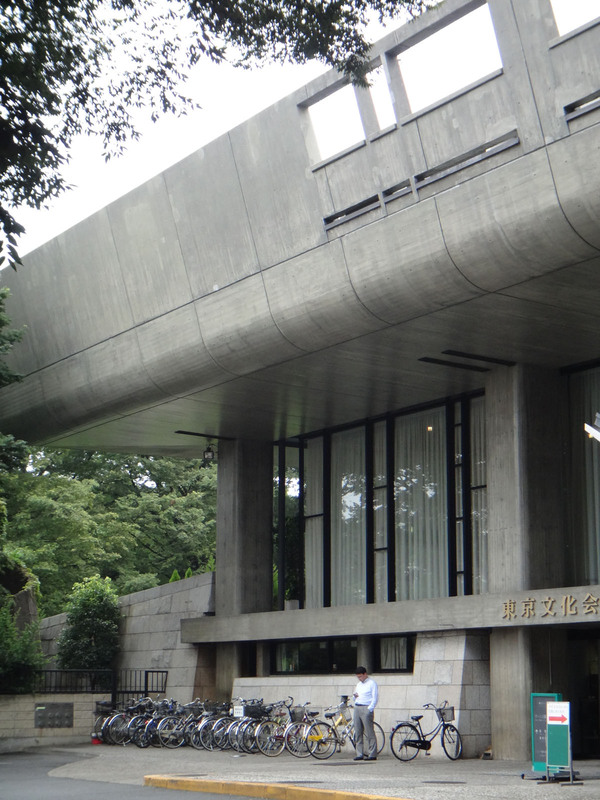 We had a unique chance to tour this architecturally significant masterpiece which is located in Ueno Park, smack right in the center of Tokyo Japan. We were blown away with the sense of detail and balance. This building is truly spectacular and a delight for fans of modern architecture. What makes it extra special is that it has survived the last 50 years reasonable unscratched and most of the original features have remained unchanged. 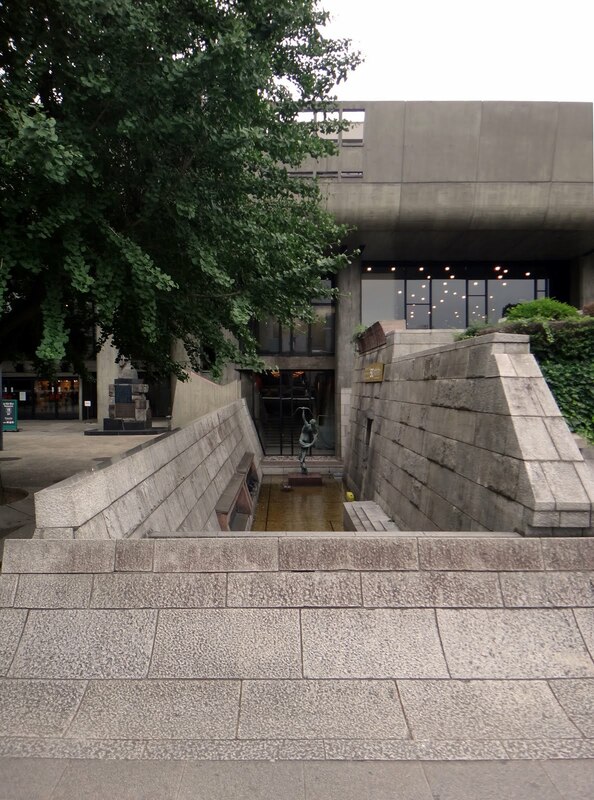 Right across from Tokyo Bunka Kaikan is another master piece: Le Corbusier's National Museum of Western Art Tokyo (1959). 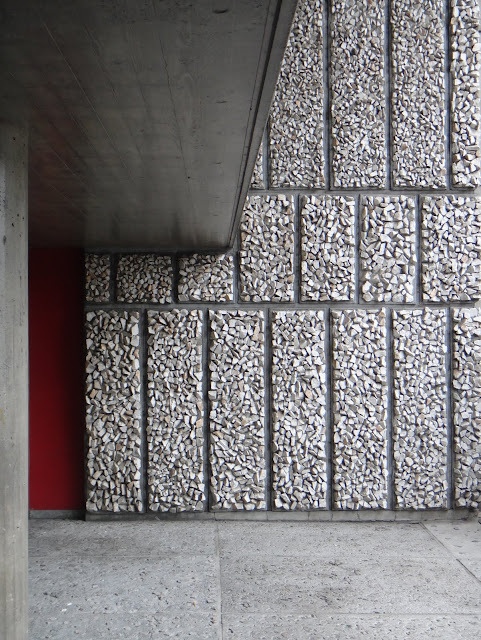 Japan has been trying to get Le Corbusier museum listed on UNESCO's World Heritage listing, so far unsuccessfully. That is an obvious mistake since the lesser known Tokyo Bunka Kaikan by Kunio Mayekawa is in fact the great undiscovered masterpiece they have been sitting on without realizing it. 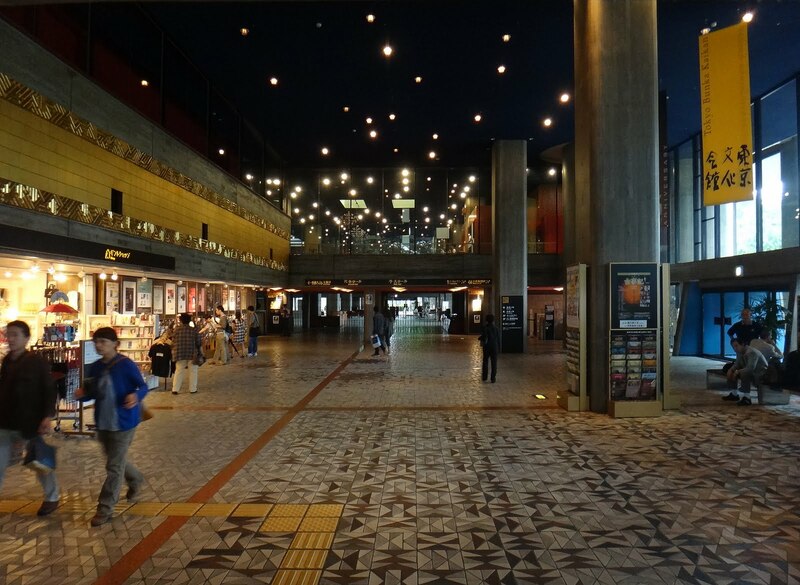 Tokyo Bunka Kaikan has a much greater chance to receive UNESCO's World Heritage distinction. Kunio Mayekawa is the often forgotten but pivotal master of modern architecture in Japan. Arguably the greatest modernist architect in Japan since he was the one who tutored Kenzo Tange. Kunio Mayekawa AKA Kunio Maekawa (前川 國男) was one of the leading founders of the Japanese modern architecture movement during the middle of the 20th century. Kunio Mayekawa worked and studied under Le Corbusier in Paris between 1928 and 1930 and the influence from Le Corbusier would be clearly visible in many of Kunio Mayekawa's works in Japan. Note the blue and red door on the front of the building, a nice little touch which reminds us of the work of Le Corbusier. 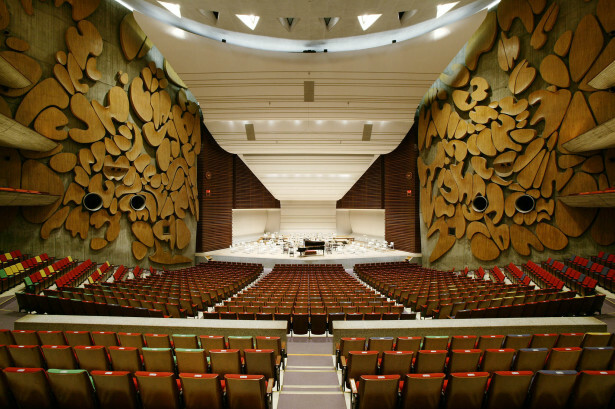 Tokyo Bunka Kankan symphony hall. 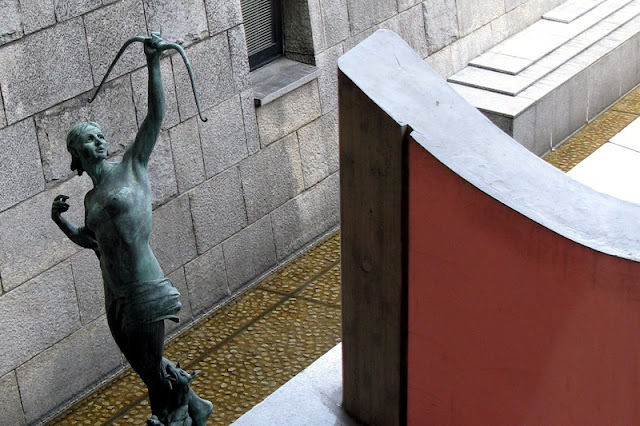 Kunio Mayekawa was one of the first in Japan to adopt rational architecture. 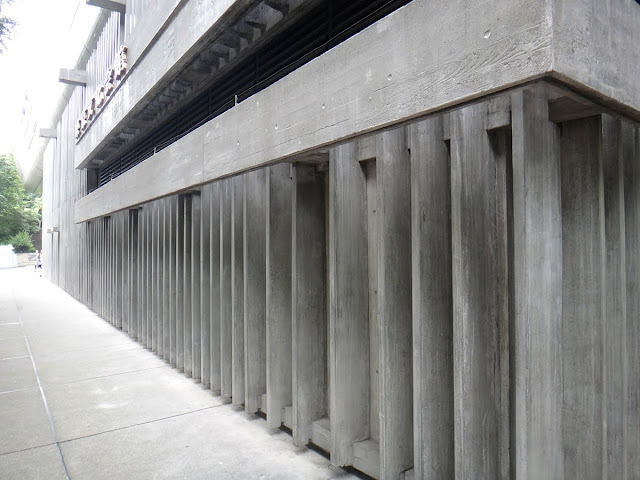 During the 1950's and 1960's Kunio Mayekawa designed sculpturally expressive modern architectural structures by combining national traditions with the structural and aesthetic possibilities of reinforced concrete. 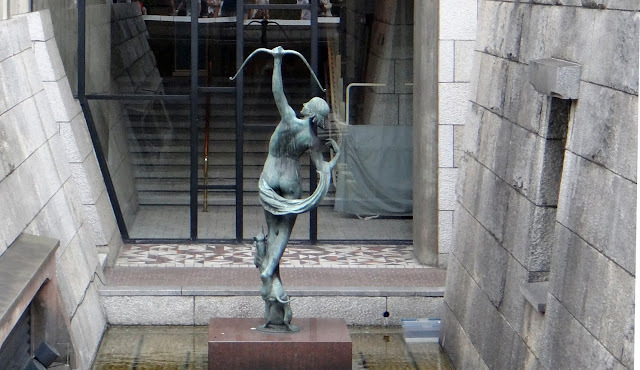 Kunio Mayekawa designed many public buildings, including municipal buildings in Fukushima (1958) and Hirosaki (1964); cultural centers in Tokyo (1959), Kyoto (1960), Okayama (1962), and Urawa (1966); and the Gakushuin University in Tokyo (1960). He also created prefabricated structures and high-rise apartment buildings in Japan. Prominent among modern Japanese architects, Kunio Mayekawa is one of the most notable architects of Japanese Mid Century Modern Architecture together with Kenzo Tange and Sakakura Junzo. 前川 國男（まえかわ くにお、1905年5月14日 - 1986年6月26日）は日本の建築家である.